Product prices and availability are accurate as of 2019-04-22 14:30:47 UTC and are subject to change. Any price and availability information displayed on http://www.amazon.com/ at the time of purchase will apply to the purchase of this product. 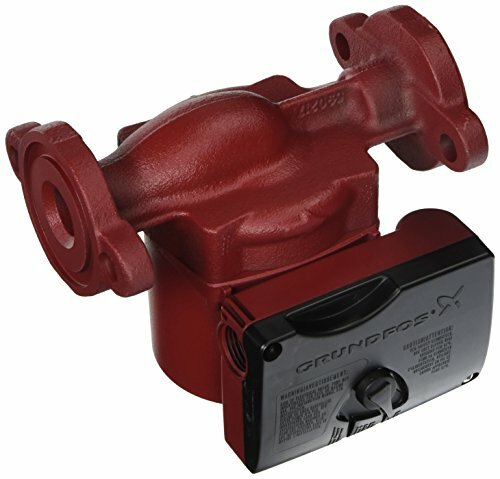 Grundfos UPS15-58FC circulator pump (Grundfos# 59896341) incorporates a cast iron housing, three speed motor (Low/Med/High) and a built-in, removable check valve. 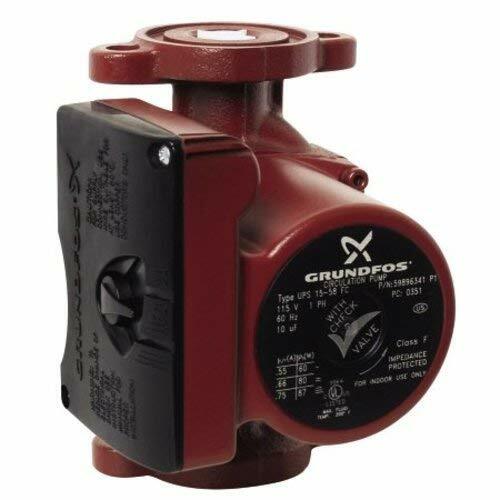 Grundfos UPS15-58FC is among the most popular and most versatile circulator pump models on the market. Pump's performance parameters cover nearly all traditional heating applications - from radiant and baseboards, to fan coils and zoning and many others. 3 speeds allow to set up the circulator pump in a way, that matches the system's requirements, while wet rotor design allows it to be virtually silent while operating.